Sears was really far, far ahead of its time. You could get anything in the catalog and have it delivered anywhere, like Amazon today. Sears had a lot of its own-branded but high-quality stuff - Craftsman, Kenmore, Ted Williams, and Sears (as in telescopes). Like Costco/Kirkland today. Having a traditional/old people vibe is an advantage. Look at Duluth Trading and LL Bean today. Successful bricks and mortar retail is admittedly very hard today. If it is possible at all, the physical experience has to be superior to the online experience to overcome the overhead cost, traffic & parking hassle, etc. No, indifferent salespeople and nothing in stock and long checkout lines is not the way. Apple and Best Buy might be succeeding (too early to tell). I grew up in a true Sears family. It is sad to see. I don't think it was inevitable. Edited by PBEvans, 30 December 2018 - 10:21 PM. dishes and the TV, and paid for it by 0 down and so much a month. the B-52 and F86 came along and they didn't have spark plugs but Sputnik had him pretty on edge. Edited by clamchip, 30 December 2018 - 11:41 PM. Sears was really far, far ahead of its time. Online shopping is killing a lot of stores. What’s remarkable about each of these posts is how right they both are with respect to one Sears offering: anybody remember Prodigy? Edited by Knasal, 31 December 2018 - 12:16 AM. I will always have a soft spot in my heart for Sears. When I was a kid, I looked forward so much for the arrival of the Christmas catalog in eary October just before my birthday. I would rush home from school every day to see if it had come in the mail. Then when I was a teenager, and into my first years of college I worked at Sears part-time. It was my first real job after baby-stting, pet-sitting, and lawn watering. It makes me sad to see it as yet one more American institution gone forever! Life is NOT what it used to be. 100 years ago Sears was king of the hill, and the Amazon equivalent with their extensive catalog sales. They sold everything, were very efficient, and were highly competitive with local stores on main street. Over time they were unable to innovate, adapt, and overcome as retail evolved and new buying choices came along. Running any business is tough and if you take your eye off the ball, others will quickly fill the void. My tools, rifles, Pendletons, Levis, and appliances were bought at Sears for most of my life. Sad to see what they have become but it is a very common story in retail. Edited by Spectral Joe, 31 December 2018 - 12:44 AM. The big question: This clearly makes those old refractors obsolete . Where's everyone going to get their parts ? The first clothes dryer I ever owned, with my first wife, was a wedding gift with a new washer from my then in-laws. With a new mortgage and baby, new washers and dryers didn't fall out of the sky so when the dryer failed one day after some years, I dived in. It was a belt-drive, and the idler/tensioner wheel had worn away. It was just hard white plastic and after several years the bore had become reamed out. I made a replacement on my mini lathe from reinforced nylon and it lasted for another five years. I finally made one from aluminum with a sealed ball-bearing center, and it was still on there when the washer finally started leaking and we replaced the set. Got over 20 years total from that dryer thanks to my repairs, the idler was the only weak design spot. I don't think such appliances last anywhere near that long today. Crikey! 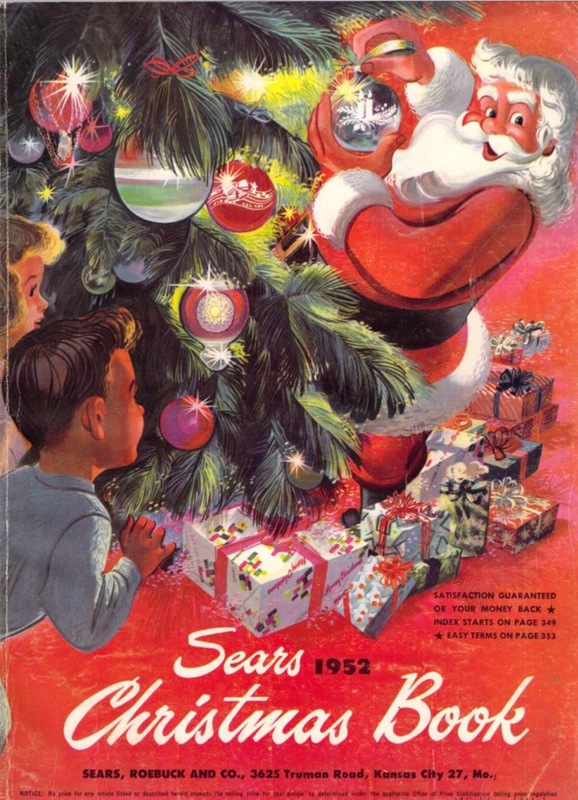 Even in far-off Oz we knew of Sears & Roebuck...of the S&R Catalogue fame...naturally I never purchased anything from them, just like all those ads in American comics our local barber kept for the kids to read while waiting for their haircuts - remember them..? "Learn to throw your voice" instructions for 5 cents..."Daisy BB guns 25 cents"...my brain is fading 'cos some of them were real pearlers - & so cheap: trouble was, even though I was willing to take a punt on sending a few cents across the wide Pacific Ocean for what seemed like "must haves" all the adverts stated "must include Zip Code." Back then I had no idea what a zip code was...we didn't start using them for another decade or 2..! Still, I have my very nicely restored Sears #6333 60/900mm frakky that Uncle Milt did a nice job on! I have Kenmore appliances and love them. In many ways except for the name they are Whirlpool through and through. I don't use repairmen anymore. Do it myself. Parts are available on Amazon or Ebay. Stuff that is common replacement at the former, circuit boards and other more specific stuff you can find like used auto parts on Ebay. With youtube and Appliance Parts Pros .com out there with do it yourself videos, takes a little time, but easily you can beat those $125 service calls. For telescope parts, Ebay again or Craigs List, or here of course. Just more patience is required. We are losing only three stores here in Colorado. Two in Colorado Springs and one in Pueblo. Even if they cut Denver metro stores in half, we'd still have lots to shop at without driving to Kansas. I don't think they are going to make it long term. Real estate is too valuable and stores are outdated. Still, Penneys has survived, and the brand has staying power so maybe they will make it in a different form. Wards is gone. Wasn't Sears purchased by Kmart a few years ago? I thought . . . Kmart? . . . to me that speeded up the downward spiral. Edited by Garyth64, 31 December 2018 - 09:36 AM. It was the other way around I believe. They bought Kmart. Don't think there are any of them left in this part of the world. It was in 2004 that Kmart purchased Sears, for 11B. There are still many Kmart stores today. Two are near me. Many have closed, and many more are going to be closed. I thought it was the other way around too? It looks like, in the end ‘Sears’ (or rather the Sears Holding Corporation) held Kmart. I guess you could say Kmart wound up Sears in name only., or the other way around! Edited by terraclarke, 31 December 2018 - 11:35 AM. bikerdib, funny you mentioned the Sears "house kit". The house my folks bought right after I graduated h.s. in 1990 was a Sears and Roebuck house, if I am not mistaken. I know it was some sort of kit house, and I am 90% sure it was definitely Sears and Roebuck. It was a very well-built house with nice finish and hardwood flooring. My folks remodeled it, but kept much of it close to period correct, which I believe was the '40s. Just like the appliances, and other things sold by Sears and stores like them, they were built to last. Some good friends of mine bought an early 1900's S&R catalog house that was still standing. Had it moved and renovated, and it is a really neat house. Going to Sears as a kid in the '70's was great fun. Hated wearing the Toughskin jeans though, lol. Wish I still had the Ted Williams 16 gauge shotgun that my Dad horsetraded for me to bird hunt with. It was just to big/long for me back then, and he traded for something else. My first telescope was a Sears 4” refractor. So was mine. A Christmas present when I was 12. Got to use it for about 2 weeks till my baby sister swung a piece of 2x4 while playing and shattered that big piece of glass. A few years later a 3" Edmunds reflector finally opened the Heavens for me. As an auto technician, I have some broken Craftsman tools, and nowhere to go with them now that our local store closed down. But my Sears experience doesn't have the fondness of others here. The employees were rude, I was sure they did not care. My Kenmore stove with smoked circuit board got replaced by something else along the way. Lowes and ACE now carry Craftsman. Hmmmm??? The largest refractor Sears ever offerred was the 90mm Model 6345. I suspect the craftsman line will be sold to one of the two mentioned and spun off. It may survive the sears liquidation. Just my thoughts. I know it is a sentimental thing to see such a giant end. I wonder if my tools are collectors items now. If they are no longer made then they must be "rare" and extra valuable. Craftsman was sold to Stanley/Black and Decker.